I signed up for this a while ago and received my gum yesterday. The offer is still valid. Wait for the site to load and then click on “Settle” to answer a few questions required to receive your gum. 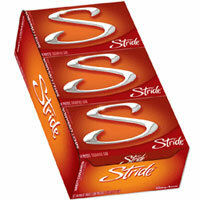 Get your free Stride gum sample! Very Cute! I loved it! I Love the flavor of this Gum.